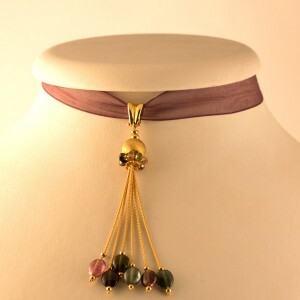 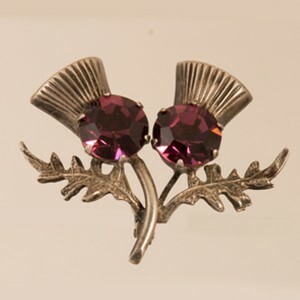 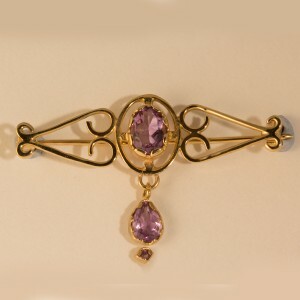 View cart “9ct Amethyst Brooch” has been added to your cart. 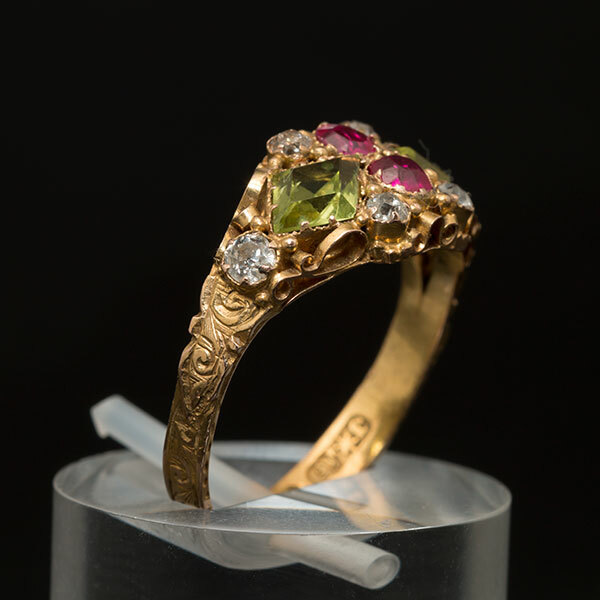 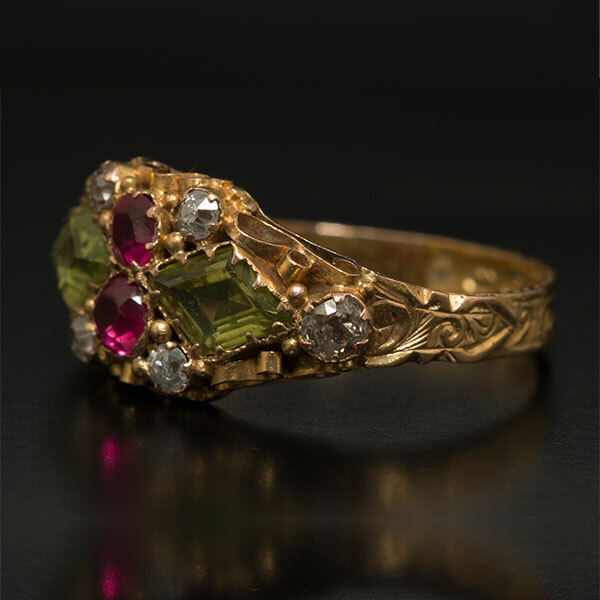 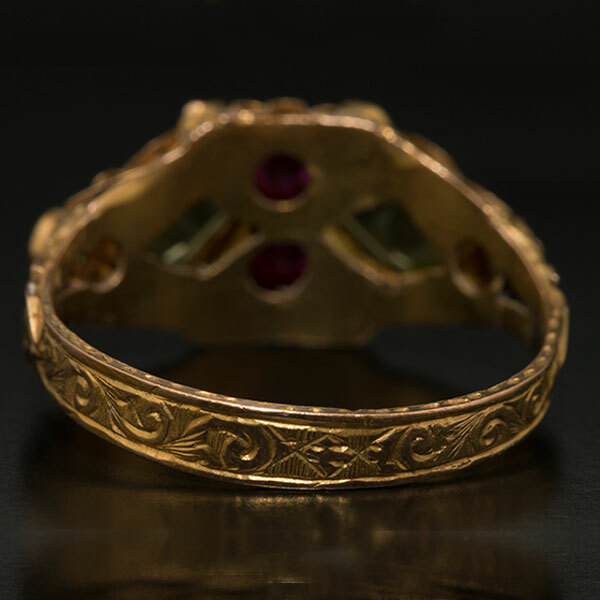 A Fantastic Georgian 15ct Gold Diamond Ruby Peridot Ring, this is the most beautiful Georgian Ring that is in amazing condition, which is remarkable considering its age. 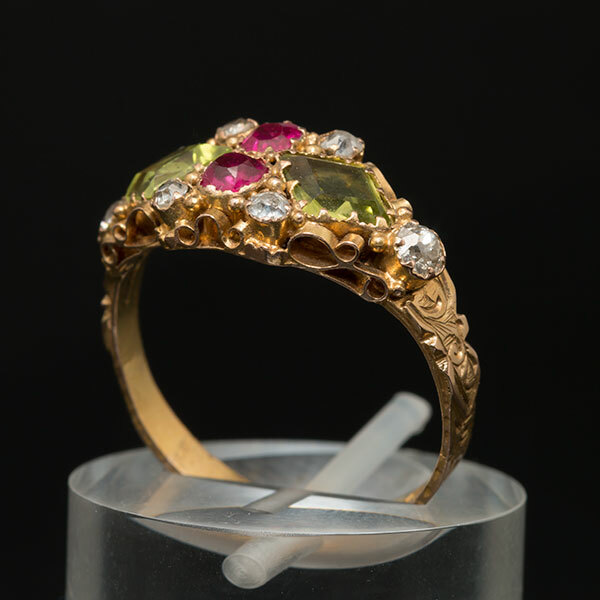 It has a clear Birmingham hallmark 15 carat Gold and dates to 1820. There are 6 sparkling Old cut diamonds approx total 0.60 carats, 2 vivid rubies approx total 0.20 carats and 2 Rhomb Facet Peridots. 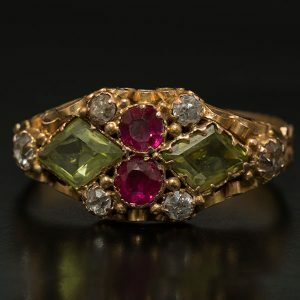 There is so much detail in this ring, the band has a swirl and leaf designs all around and each stone has been exceptionally claw set in a gorgeous intricate setting. 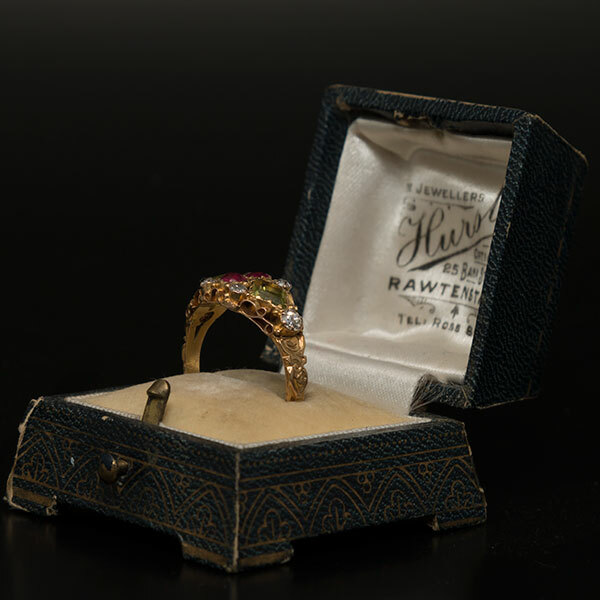 If you are a lover of antique jewellery of the finest standard then this is the ring for you, it is also presented in an original antique box (see picture). 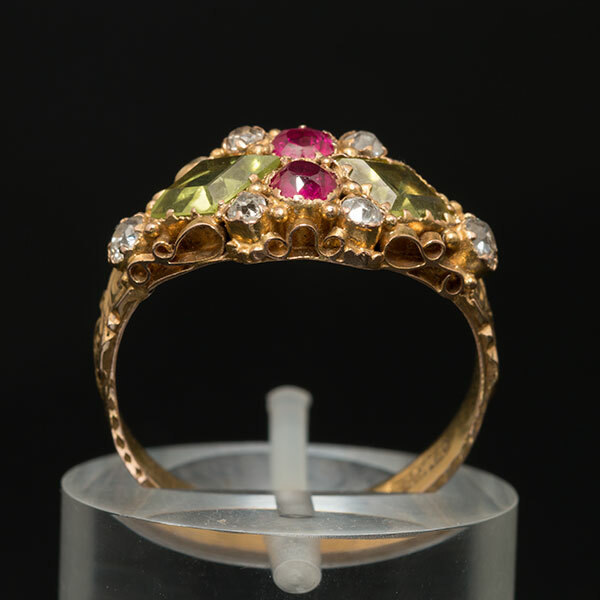 If you are buying as a present, then no lady could help but smile at receiving a little bit of history to wear at the highest quality. 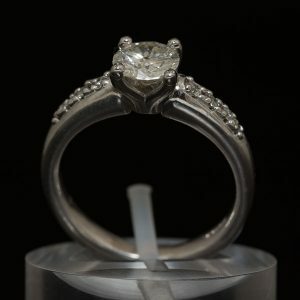 The ring is a size R but can be sized at an additional charge( please note because of its pattern we would have to first consult with our goldsmith) depending on how many sizes it can be adjusted to . 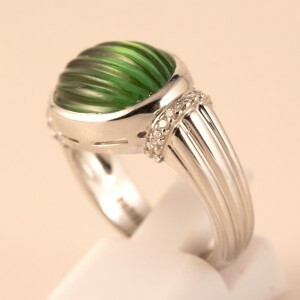 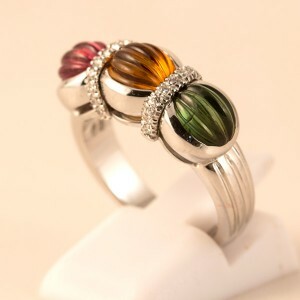 Buy new and pre-loved jewellery on-line today at Carringtons Jewellers. 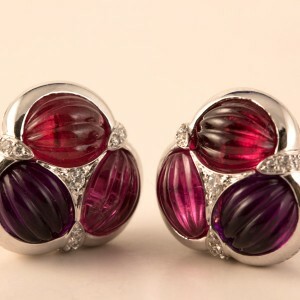 Click & Collect or FREE UK DELIVERY available.